Sometimes a child with wise eyes is born. Then some people will call that child an old soul. That is enough to make God laugh. For instance, there is Yemaya Saramagua, who lives in the somewherehouse. I haven't read a better piece of scene setting this year. I think it's the "wrong quiet" that sold me on it: that and the way the description of the somewherehouse is memorable ("sugar-cubed afterthoughts") without dissolving into abstractions. It is tangible. I believe in it. After a couple more pages I believe in Yemaya as well, which is just as well, because she's a goddess, and isn't much without believers. To be specific, Aya is an Orisha—"deadly friends from stories" (p. 35) is how one of the characters describes Orishas—a manifestation of the Santerian patron of women. She overflows, we are told, with "the kind of need that takes you across water on nothing but bare feet" (p. 3). She is "powerful, half mad, but quiet about it." 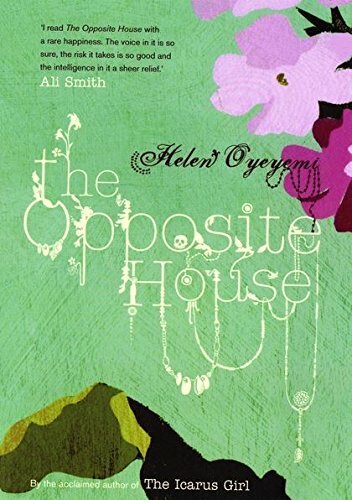 And either The Opposite House isn't about her, or it's about only her. It's hard to say. Aha! "I have strangeness in my family." Perhaps this is how Aya (who we frequently revisit) comes into Maja's story. She is the patron of pregnant women in particular, after all. Or perhaps it's not: Maja's Papi insists that the Santeria gods, whatever Mami may say, "are historical artefacts." To him, The Way of the Saints is not so much syncretic as garbled: " ... these gods or whatever, these beliefs don't transcend time and space; they stretch them unnecessarily, stretch the geography of the world like an elastic band. And you can't do that" (p. 76). So maybe Aya is just a story. Either way, Santeria is part of Maja's heritage, whether she remembers it or not (she was five when her family left Cuba). At one point she recalls the story of a Santeria Mass administered by her grandmother Carmen (the woman who was a priest when she wasn't supposed to be), at which the storm god, Chango, "stepped down from heaven [...] slid into the space left between song and drumbeat" (p. 37). Remembering these stories is important, because to Carmen, forgetting ancestors, culture, heritage, was a form of madness, was to forget yourself. Maja can relate. This is, The Opposite House suggests, the condition of the migrant: inhabitant of a thinned world. Maja feels it acutely. She likens culture to a "pervading marinade," impossible to remove after a certain amount of exposure. She is self-conscious about her accent, too aware that the ears around her are "attuned to courteous, clipped white noise" (p. 22); yet neither is she the right kind of migrant, for she cannot claim the African heritage of the most popular girls at her school. 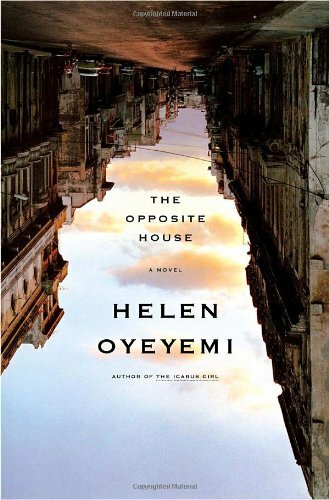 She decides to go back to Cuba, so that she can understand what it means to have left—with a firm place to stand, she thinks, life might make some kind of sense—but the bitter irony at the heart of the novel is that maybe Aya has already tried that. Maybe when Aya "fled to be native, to start somewhere, to grow in that same somewhere, to die there" (p. 114), she fled into Maja; maybe that's what caused Maja's fit at the going-away party when her family left Cuba; maybe that's why she has always been waiting for her son to arrive, and why she's so certain her child will be a boy and will be hers (he is never "our child," though Maja hasn't had an ultrasound and seems to love Aaron). Maybe there is no firm place to stand. At times, it's true, Maja's skin feels thin, stretched, raw. We can feel Oyeyemi writing through her character. But those times are rare; on most of the pages in this novel Maja lives, and it matters that she lives. This is her life. Niall Harrison blogs at Torque Control. Oh, thank you for the review. I need to find the book now.